We hope you enjoy these geocoins as they travel the world from geocache to geocache. You may have even seen these in people's coin collections. They are trackable on Geocaching.com and have their own icon when you log a find in your geocaching account. 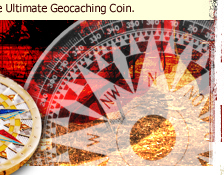 Just look on the coin for its unique tracking number and add it to your geocaching experience. 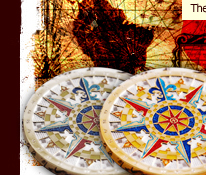 The Compass Rose Geocoin® series and Navigation coins™ were created to pay tribute and commemorate finding your location the old fashioned way before the days of electronic devices. 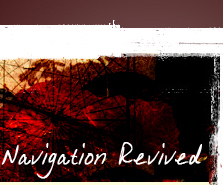 These coins consist of designs from their era or are recreations of actual working navigational tools which you can really find your approximate location. 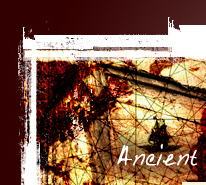 Click on the links above to learn more about these coins and how to get and use your piece of history.